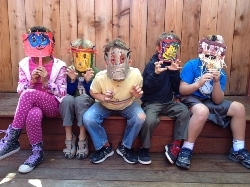 At Berkwood Hedge, the visual arts are integrated into the curriculum at every grade level. In the classrooms children have ready access to paper and drawing materials. Every class meets with an Art Specialist once a week to explore a variety of media and artistic styles.